NOTE: Ford did stamp a partial VIN on some of the engines, as discussed in this thread. In addition, a partial VIN was stamped on the frame of most, if not all trucks, as discussed here and here. 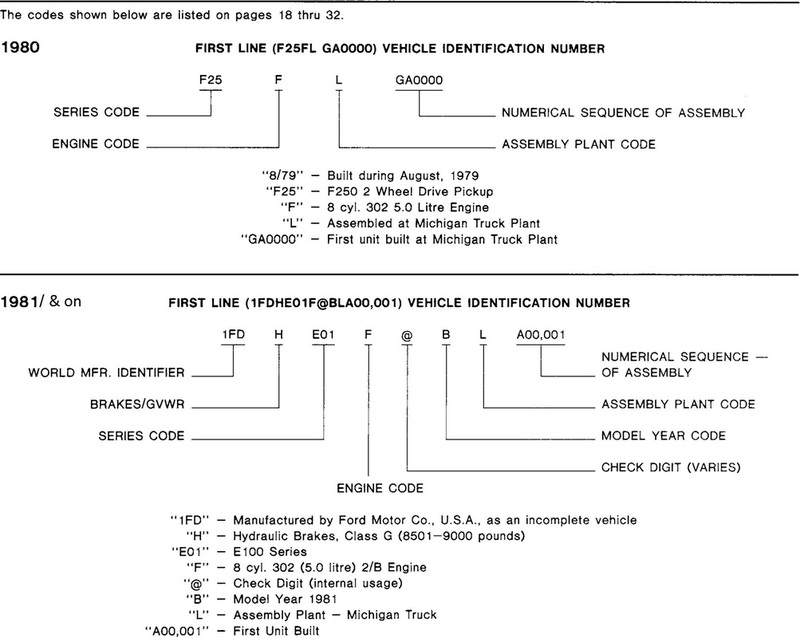 To use this page, find each group of characters shown in the appropriate table for your truck (1980 or 1981-86) and scroll down to match that set of characters to the appropriate entry in the tables.